Tomorrow is Jeans For Genes day and up and down the land people will have an extra dress-down day, when they can come to work or school wearing the world's most popular outfit, jeans and a t-shirt, and it's all in the name of charity. We've all heard of Jeans For Genes, but do you know where your donation goes? The money raised by our donations to Jeans For Genes goes to the Genetic Disorders UK charity, who work to improve the lives of children born in the UK with a genetic disorder. These are often rare disorders which are unable to raise money in their own name, mainly because we've never heard of them, and that makes us the lucky ones. 500,000 UK families aren't so lucky. Rare disorders don't have huge charities to support them, but everyday life can be incredibly challenging, so these families are incredibly grateful for every penny raised and every bit of help offered. You can find some of the stories of people who have been helped, and apply for a grant yourself for your project if you are eligible, on the Our Work page of the Jeans For Genes website. I'm telling you about this in collaboration with JD Williams, who have a huge denim range in all fits, shapes and sizes, and supplied the photos of women wearing jeans for this post. They asked me if I wanted to share a photo of myself wearing denim. Erm, well.... Jeans I can't do because I haven't worn any in the last 15 or 20 years, but denim I can! 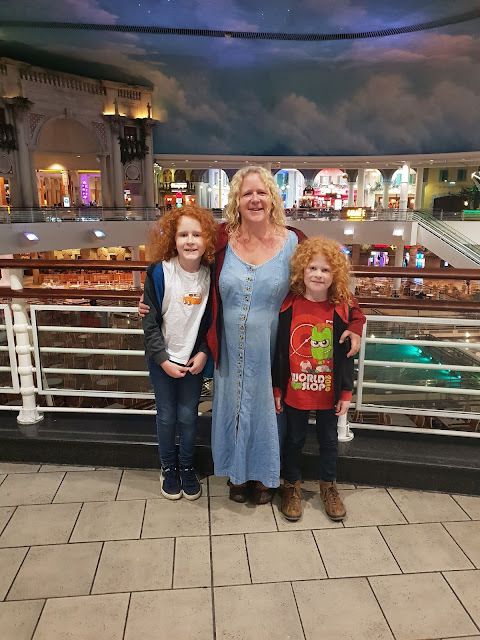 I'm just not personally a fan of trousers, which is why I don't wear jeans, but I do really like my family to wear them and it's easy to see why they are so popular. They're comfortable and you can wear them with any shoes or top you fancy, plus for women you have the added bonus of pockets! They are incredibly easy to care for and hardwearing. 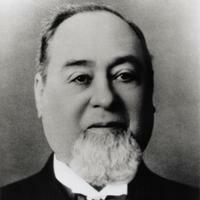 A wardrobe staple since they were invented, 100 years before I was born. 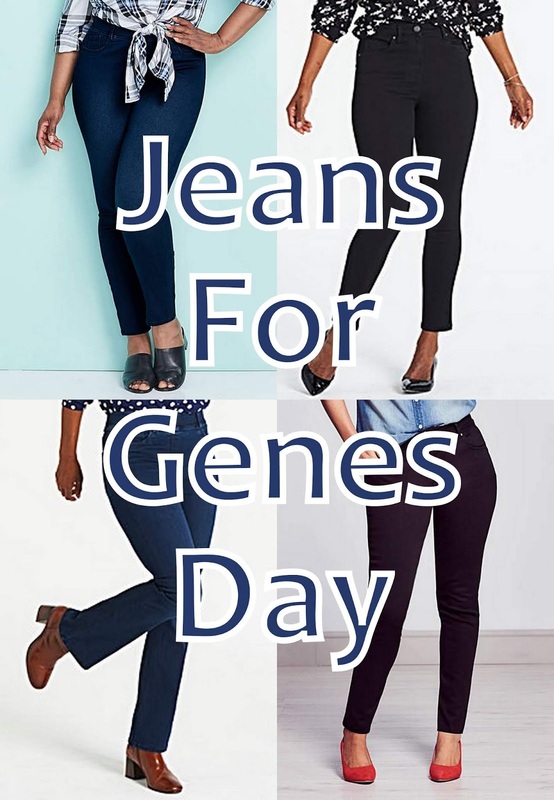 You can find out more about Jeans For Genes Day and Genetic Disorders UK on the Jeans For Genes website. This post was a collaboration with JD Williams and Jeans For Genes Day.